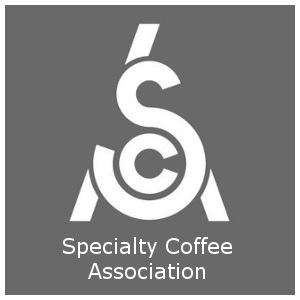 With a medium to smooth body and a distinct but mild acidity, Nicaraguan coffees reviews indicate it provides rich yet subtle flavors, balanced sweetness, with a nutty bouquet that often exhibits notes of vanilla. A good Nicaraguan coffee displays a mild, fruity brightness and will tend toward higher-toned characteristics such as citrus and floral sensations rather than lower-toned sensations such as papaya/apricot and chocolate. The coffees of Nicaragua are characteristic of Central American coffees in general, though typically milder in acidity than most other Central American coffees. Nicaragua coffee is wet processed (washed). While not typically Organic certified (though there are some certified on the market), most coffee trees are organically grown due to a lack of infrastructure and funds in the regions. Nicaragua has some of the lower growing elevations among the Central Americas, but most will qualify for High Grown, and Strictly High Grown (SHG) is available. The coffee plant varietal Bourbon which is grown in Nicaragua is known to produce coffee beans with various mild flavors including vanilla, pear, chocolate, and pie crust. The less common varietals include Caturra, Pacamara, Maragogype, Maracaturra, Yellow and Red Catuai and Catimor. The Nicaraguan coffee trade has gone through turbulent times since it began in the mid-1800s, enduring periods of both high and low demand. In recent decades the Nicaraguan coffee trade has been hurt by civil war and hurricanes as well as the U.S. bans on Nicaraguan imports during the cold war. Nicaraguan coffee is now beginning to make a comeback to its former popularity. The coffees of Nicaragua are classified, or graded, based upon the altitude at which they are grown. It’s imported by green coffee importers, who partner with distributors and brokers in Central America to get unroasted green coffees into the United States and Canada in container-quantities (usually 45,000 lbs). They then separate the 132-lb bags for wholesale to coffee roasting companies who use it in their own brands and blends. Nicaragua is a prolific producer, with many different regions, varietals and levels of quality. To help market and establish standards, it’s helpful to look at the different regions and what they’re known for. Jinotega is a well-respected coffee grown in Nicaragua, and is the primary coffee growing region in Nicaragua. Jinotega is a market name, derived from the word xinotencatl, which may either mean “city of old men” or “neighbours of the Jinocuabos”. Jinotega produces Caturra and Bourbon coffees, which grow between 1,100 to 1,700 meters. The Flor de Jinotega is grown by the Soppexcca cooperative with shade-growing practices under banana and mango trees, though not Bird-Friendly or Shade-Grown certified. It is a well rounded coffee, that is sweet and deep. Offered by Thanksgiving Coffee. The capital city of Matagalpa gives this region its name, which consists of many estates and cooperatives. Coffees here are typically the Caturra and Bourbon variety, and grow between 1,000 and 1,400 meters. With rich with fruity topnotes and hints of chocolate, Nicaragua Segovia (sometimes “Nueva Segovia”) has an almond-nougat sweetness. It is rarely available on the market, and is grown between 1,000 and 1,400 meters. A Medium-Dark Roast is recommended to highlight Nicaragua Segovia’s Caturra or Bourbon coffees, which have a balanced richness. This is a nice gourmet coffee for sipping throughout the day. In Nicaragua, there is also a coffee plant that produces very large leaves and berries as well as the planet’s largest coffee beans. 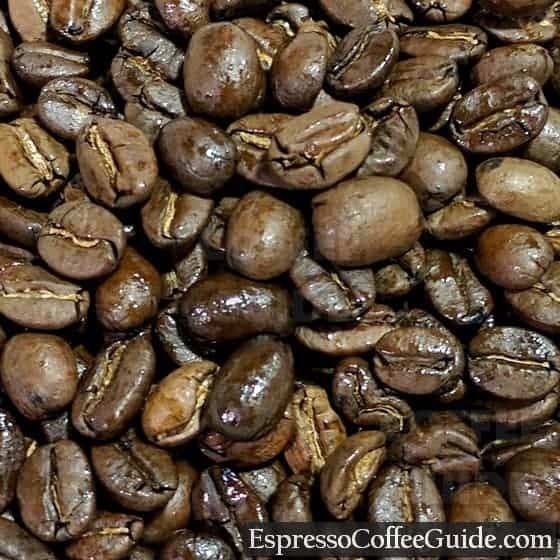 They are known as Elephant Beans, and the cultivar is a spontaneous variation of Arabica Typica (Coffea arabica var. Typica). The plant grows best at elevations between 2,000 and 2,500 feet above sea level. First grown in Brazil, this mutant variety of this Arabica Typica plant now thrives in Nicaragua. While the yield of Maragogype is not large, the beans certainly are. The Typica plant has a lower yield (e.g., fewer coffee cherry) but is said to produce a superior bean with a more concentrated flavor and thus better cup of brewed coffee, similar to the Maragogype as well as the Pacamara varietal. These flavorful, smooth and balanced coffees are exceptional for cold brewed coffee, which further reduces the acidity and makes for a refreshing and easy-drinking summer drink. Nicaragua Pacamara is a large-beaned coffee that is a cross of the Pacas varietal (an El Salvador hybrid) and the Maragogype varietal. Pacamara is relatively easy to cultivate yet more difficult to pulp and dry properly. The mill equipment needs to be recalibrated and special care has to be taken during the fermentation and washing, with increased rotations on the drying beds. Nicaragua has a fairly well established coffee trade and a steady supply is available on the market. Most specialty coffee roasters will carry a Nicaraguan coffee – we recommend finding one that will roast it fresh and deliver within a week of you placing an order. Try to avoid off-the-shelf brands found in grocery stores and distribution centers such as Amazon, as these coffees are usually roasted weeks or months before finally being delivered to you, losing much of their flavor in the process. Nicaraguan Maragogype Elephant Bean coffee is known for its fine body, exquisite balance, bright acidity, and clean taste. A medium roast is recommended and not more. Sounds like a lot? It's actually 1.4% of the coffee grown worldwide.